Parameter changes have taken place affecting some of ITV's high definition channels on satellite. Transponders carrying the encrypted channels ITV2 HD, ITV4 HD and free-to-air channels ITV Granada HD, ITV Wales HD, ITV London HD, ITV Meridian HD and ITV Central HD have been switched to a forward error correction (FEC) rate of 3/4. 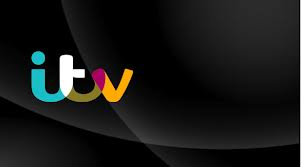 The changes will give ITV a little extra bandwidth for its HD services, enabling the broadcaster to make more use of its satellite bandwidth. Who will this primarily affect? Some viewers who have added ITV HD services, for example other ITV regions, manually on their satellite receivers. Most satellite receivers should have dealt with the change without any intervention, with no further action required. Viewers in parts of Europe. Viewers living in parts of Europe may find it a little harder to receive ITV HD channels, as a stronger signal is required to receive the affected services due to the forward error correction change. ITV had attempted to change the parameters earlier this year, but had to reverse the changes following the identification of a problem with a type of Freesat receiver, which needed a software update to enable it to cope with the change.